The LSR roller nut is designed to reduce friction that can cause tuning instability. It is used on Fender American Deluxe HSS guitars, and will accommodate string gauges from .8 to .56. 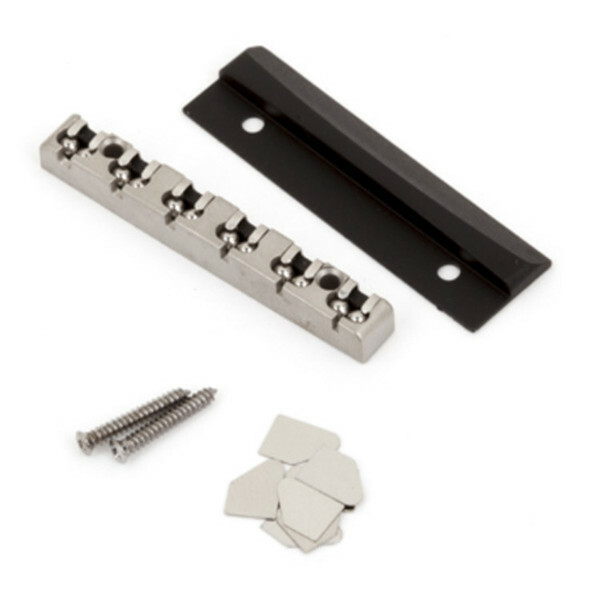 The nut is supplied with instructions, mounting hardware and a bezel adapter for retrofitting to guitars equipped with Wilkinson nuts.